Huawei was founded in the year 1987 by Ren Zhengfei . The industry type is Information and Communication Technology solution provider. 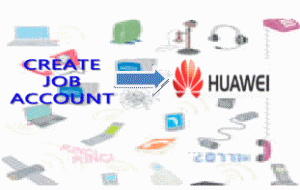 If you click huawei device jobs,it goes to a page with two options serach jobs and submit resume.Click on submit resume and proceed to create an account. If you click other jobs, it goes to a page where you can find register on left side bar and proceed to create an account by providing email.